The new Netflix employee perk doesn't stand up to scrutiny, but softens their brand. Callooh, callay, oh joyous day! Yet another company has decided to turn its back on the popular image of evil corporation super-villainy and instead start really looking after its employees. Hang the profit; it’s the people they care about! 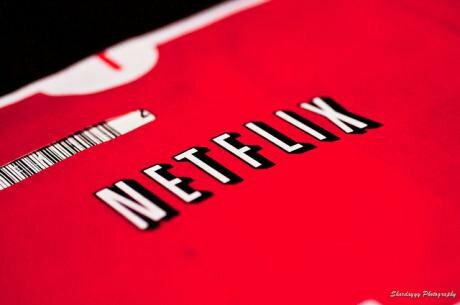 Netflix has announced that it will be offering employees “unlimited” parental leave for the first year of a child’s life. This covers maternity and paternity leave, and the policy also applies to parents who adopt. It has been hailed as a break-through in paternal rights and other tech companies have rushed out similar policies, with Microsoft offering 12 weeks paid parental leave for new parents and Virgin eagerly highlighting the similarities to its own paternal leave package. Social media is full of praise for Netflix’s approach to employee benefits and it's much flaunted commitment to “treat employees like adults”. All of this would be very encouraging for Netflix employees and activists if it wasn’t for the fact that ‘unlimited’ parental leave just won’t work. And Netflix know this. The suggestion that “unlimited” parental leave constitutes a breakthrough is incorrect, but not disingenuous. Emily Peck at Huffington Post points out that putting maternal and paternal leave on equal footing is fairly cutting edge. The tech industry has been famously slow to adopt family-friendly policies and in the US employees are not entitled to any paid parental leave. There has been a growing push for paternity leave around the world with Scandinavian countries praised for their parental leave. Meanwhile in the US a Labor Department survey found that 70% of new fathers take 10 days leave or less. By grouping maternity and paternity leave together Netflix is making an important statement about the rights of new fathers to spend time with their children and to support their partners. But the announcement is cleverly structured to distract us from the fact that rather than giving new fathers more rights, Netflix is actually placing pressure on employees to avoid taking advantage of those rights. “At Netflix”, explains Tawni Cranz, Netflix Chief Talent Officer, “we work hard to foster a ‘freedom and responsibility’ culture that gives our employees context about our business and the freedom to make their own decisions along with the accompanying responsibility.” This juxtaposition of the words ‘freedom’ and ‘responsibility’ is telling: employees do have the freedom to take time off, but will also be held responsible for the fallout. Responsibility is a loaded term. It implies that there will be consequences if something goes wrong when an employee is on parental leave. The reality is that for a big corporation like Netflix there is a relatively little that could go wrong. Temps will be hired, workloads will be juggled, and maybe an extra team member will be added. A company that has seen its stock price double in the space of the year will not flounder if one of its developers takes a few months off. So why bother to include the word at all? Why bother to talk about ‘responsibility’ if you have crafted a safe, effective policy which prioritises your employees without impacting the company? The simple answer is that the Netflix announcement uses the word “responsibility” twice in the opening sentence because it still wants its employees to prioritise the company over the needs of their own families. Which brings us back to that other word: ‘freedom’. In a recent essay for Alternet, Cliff Weathers identifies the point that employers began using words like ‘freedom’ to justify pressuring their employees into prioritising the company over their own needs: “The rebranding of ‘personnel’ to ‘human resources’ signalled that employees were now resources to be managed like any other capital, such as finances, office equipment and property. Like a copy machine, it suggested that humans were to be used as much as possible and discarded when they wore out or their usefulness came to an end. Corporate executives claim these changes were meant to encourage employees to see themselves as free agents, entrepreneurs who are expected to adapt and grow, eventually moving up the ladder or moving on to work elsewhere.” Freedom in the work place can be a fantastic thing but just saying an employee is free is never enough. Surveys consistently show that workers who are entitled to a certain amount of leave do not take it. In May 2015 a survey from recruitment group Robert Walters found that a third of British workers did not take all their annual leave, despite the fact that in many cases they would not be paid for the lost days. The reasons given for this were all work related: stressful schedules, heavy workloads, worries about leaving colleagues in the lurch. None of the survey’s respondents suggested that they didn’t like holidays or felt like they’d had enough days off already; they just didn’t feel like they could comfortably take the time. This is in a country where the average worker is entitled to 28 days annual leave. Contrast these stats to the United States, where workers are not entitled to any paid leave, and it is clear why Netflix feel able to offer employees ‘unlimited’ parental leave. Netflix also has an “unlimited” annual leave policy in place and so they will be well aware that most employees do not feel able to take multiple days off at the expense of their colleagues. To be seen as complacent or workshy is a genuine fear for many people and it is only exacerbated by the pressure to accept ‘responsibility’ for time taken away from the office. In a statement to the Huffington Post, Netflix spokesperson Anne Marie Squeo explained that: “We ask our employees to make the best decisions for Netflix everyday... This frees them to do the same for their expanding families with the company's full support." The implication here is that an employee's responsibility to their company and their responsibility to their family are comparable. ‘Unlimited’ parental leave is a PR coup for Netflix: it allows them to dodge criticism aimed at companies who do not provide parental leave, while also establishing a policy which makes even greater claims on their employee’s time and energy. By keeping parental leave an option, up for discussion and negotiation with managers and fellow colleagues, Netflix is ensuring that very few of its employees will feel able to take them up on this generous offer. Unless Netflix fundamentally changes the way it does business, starting with the corporate jargon it used to announce this new policy, ‘unlimited’ parental leave will remain an unrealised dream for many workers.